You won't regret any of these, I promise. OK, I may be biased since I'm from the Boston area, but, Boston is one of the coolest cities to visit during the winter and holiday season. If you're in the city and looking for something fun to do, here are nine holiday-themed activities that you can check off your bucket list. 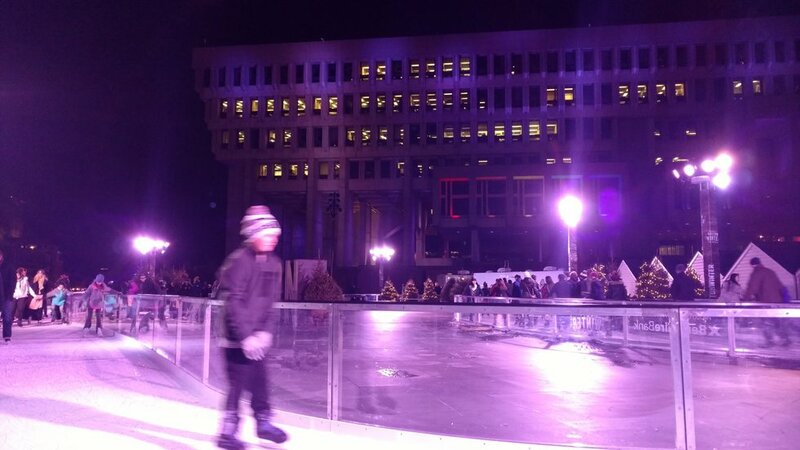 If you've ever been skating, you should definitely check out City Hall Plaza during the holiday season. Every winter, the Plaza is transformed into a colorful "winter wonderland" with an outdoor skating path that circles it. This activity is perfect for the family, date night, or something fun to do with friends. 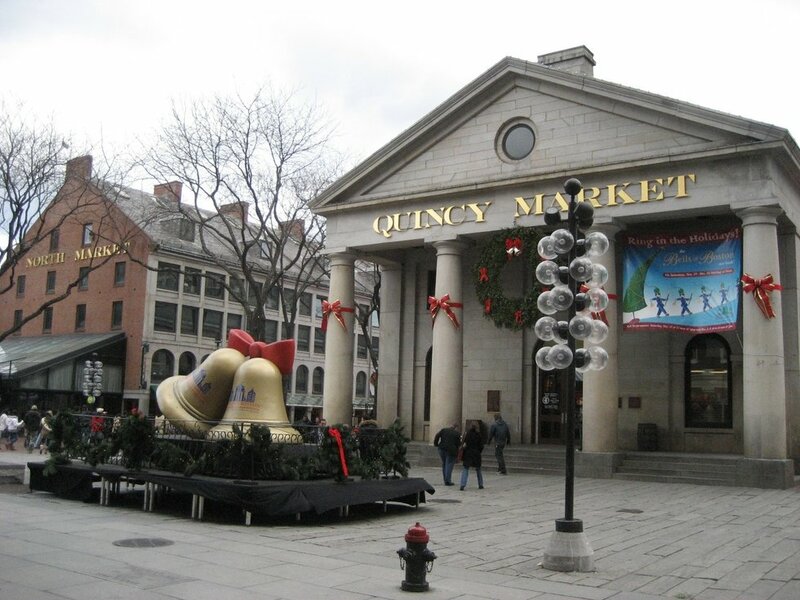 A popular tourist attraction and one of my favorite places in Boston is Quincy Market, located in Faneuil Hall Marketplace. If you have a chance to visit it in the winter, you won't be disappointed. There are shops, restaurants, bars, live performances by musicians and street artists, and even a Christmas light and sound show. 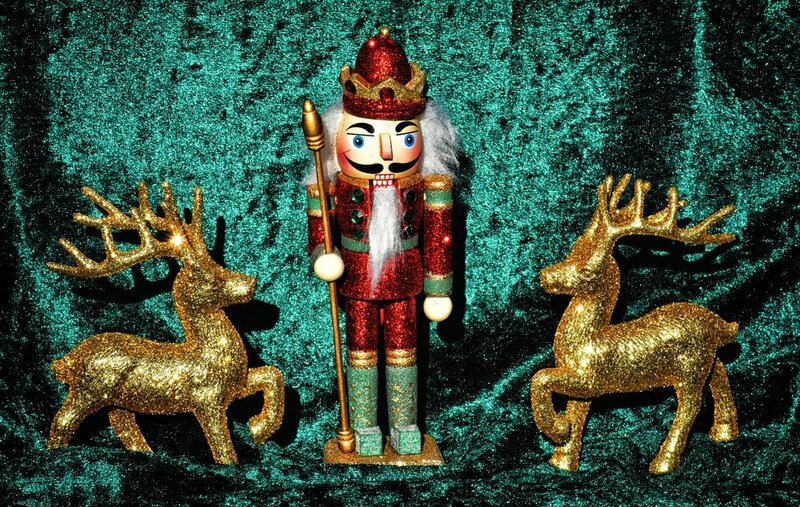 The Boston Ballet performs this holiday classic at the Boston Opera House every year. It's definitely a must-see. Shows run almost every night leading up to Christmas and as well as after. 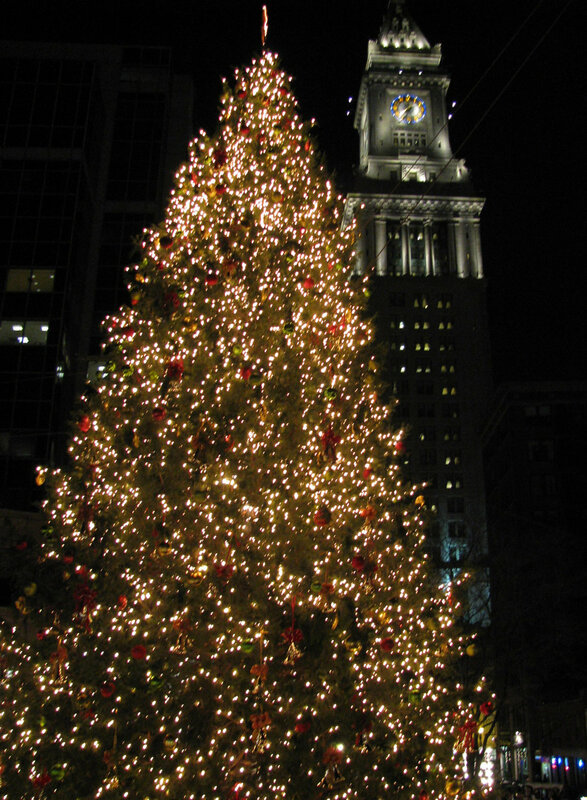 A tradition in Boston is the Boston Common Christmas tree lighting, where Mayor Marty Walsh lights the tree every year to begin Boston's holiday festivities. Christmas lights fill the Common and Public Garden and make for a beautiful stroll through the park. There is also a skating performance on Frog Pond. The North End, Boston's "Little Italy," is home to some of the most delicious Italian restaurants and the city's oldest buildings. Take a tour of the Paul Revere House and Old North Church or head over to Hanover Street, one of the most vibrant streets in the North End. 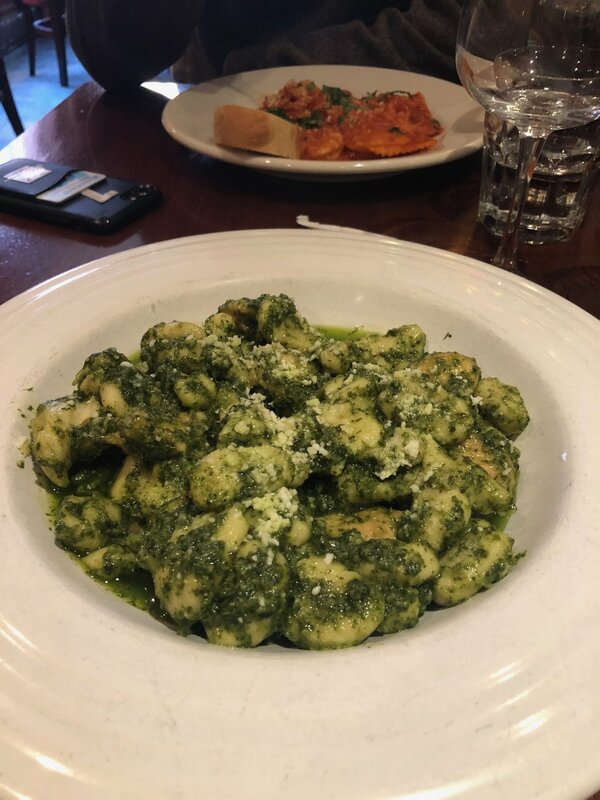 You can enjoy some delicious homemade pasta, a warm latte from one of the many coffeehouses, or a cannoli from the famous Mike's Pastry. Christopher Columbus Park is one of the most beautiful and romantic parks to walk through during the holiday season with its incredible view of the waterfront. 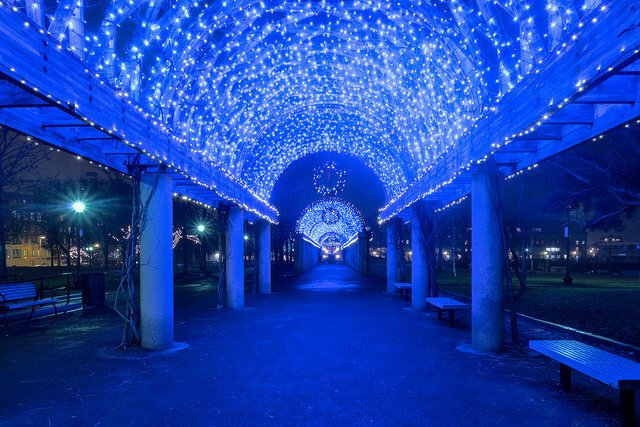 There's an annual trellis lighting ceremony in the winter where the 260-foot-long trellis in the park is illuminated with blue and white lights. 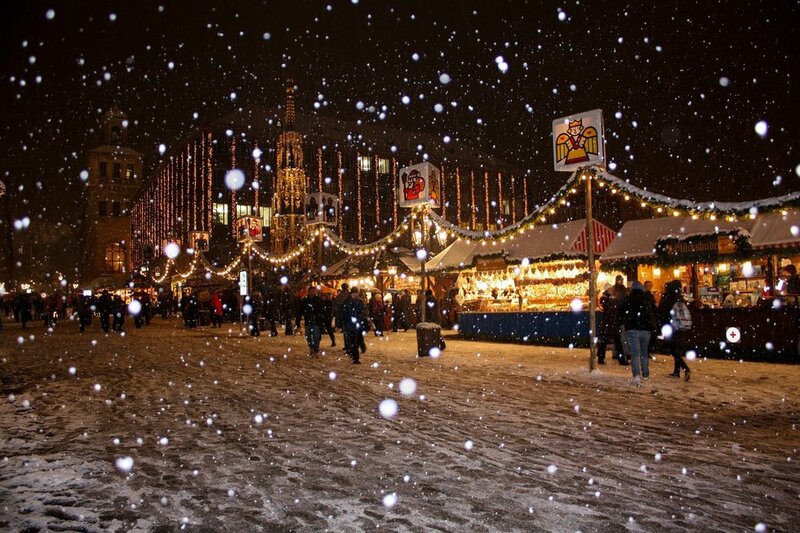 This annual winter festival spans over two weekends and is the biggest holiday festival held in Boston. There are local vendors selling handmade gifts, an art exhibit, craft cocktails, workshops, live music, and more. 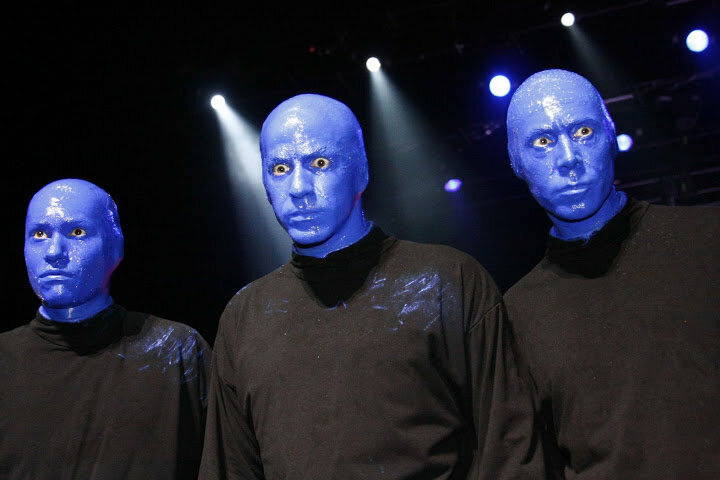 Blue Man Group is a performance company made of three bald men painted blue. The group is known internationally for their unforgettable performances, which integrate music, art, and comedy. It's definitely a must-see show if you're able to make it one. 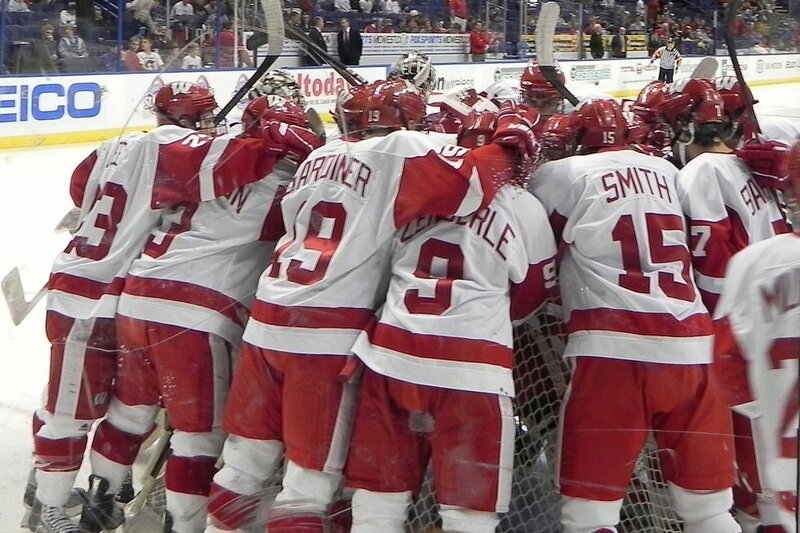 If you're a hockey fan, Boston University hockey games are something to check off your holiday bucket list. My family has had season tickets since I was little and I've always looked forward to going to the home games. 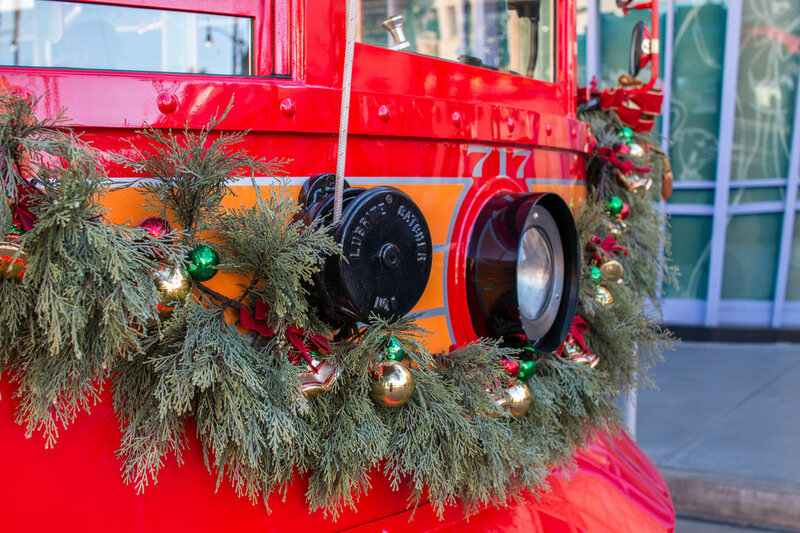 The Holiday Lights Trolley is a 4-hour BYOB trolley tour around Boston's best most decorated spots during the holiday season, including Sommerville, Boston Common, Faneuil Hall, and downtown Boston. It begins and ends at The Pour House in Back Bay, where trolley riders can enjoy a bowl of clam chowder before heading off on a holiday adventure through the city. You may not get to check all ten of these things off this holiday season, but there's always next year.